This is the latest in WCPO.com's Our Forgotten Neighborhoods series. Scroll to the bottom for links to the other stories. If it is possible for an inner-city neighborhood to be remote, that’s true in North Fairmount. No major thoroughfare runs through it. So many houses have been torn down that large swaths of land are empty. Broken steps lead only to overgrown trees and bushes. Many of the streets are hilly, and lack sidewalks and curbs. The community has no grocery store, bank, post office, or library. Two carryouts are just about the only retail.  It’s one of the poorest neighborhoods in town. The median household income is $19,916, 43 percent less than Cincinnati as a whole. More than 43 percent of the people live below the poverty level. Nearly one in every three houses is vacant.  The existing houses are very old. More than half were built before 1940. But the neighborhood is not without hope. It has a plan, a plan that starts with building housing that people in the community – and outside the community – can truly afford. 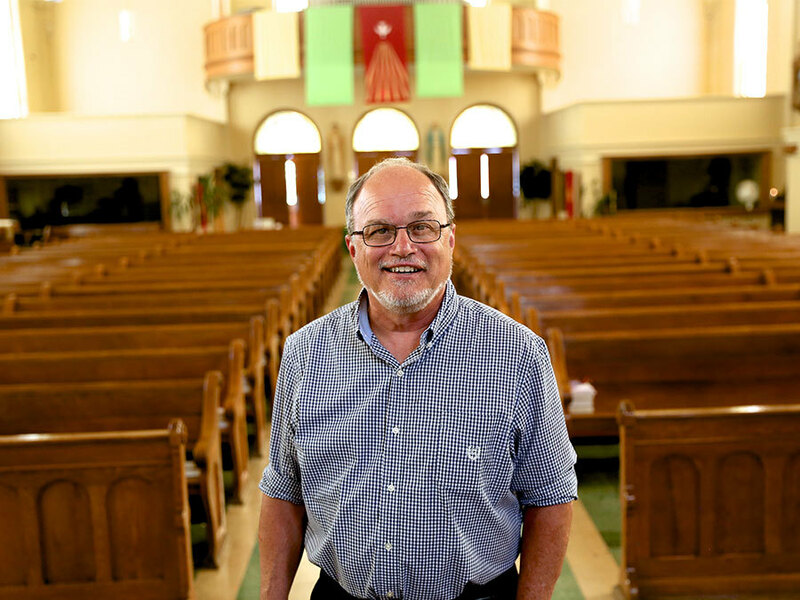 It’s a plan that seeks to build on a rock of the neighborhood, the 130-year-old congregation of St. Leo the Great Parish, which has transformed itself into a church home for immigrants and refugees fleeing poverty and violence in their countries. 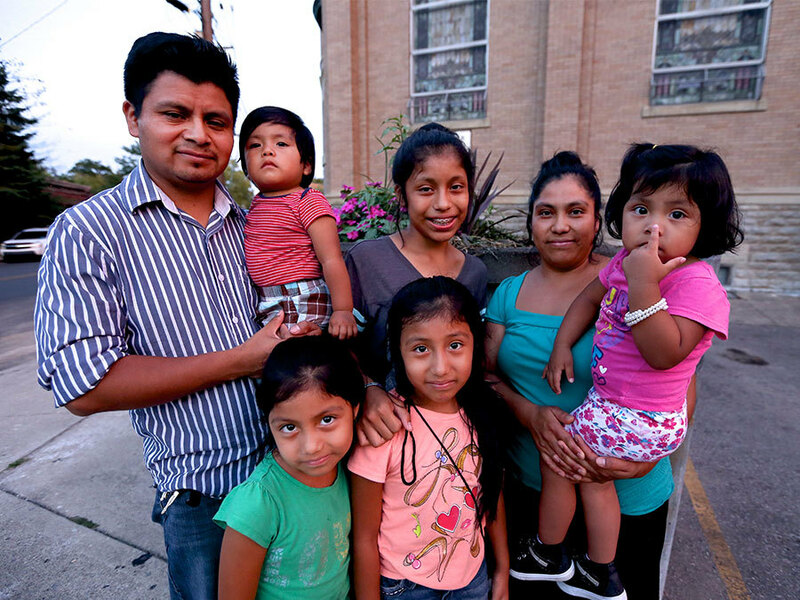 For more than a decade, St. Leo’s has opened its doors to immigrants from Guatemala. More recently, it’s a refuge for people escaping from Burundi, a country in Central Africa where tens of thousands have died in a protracted civil war. Like its better known neighbor, Rwanda, its people have suffered from ethnic violence on a genocidal scale. The church’s welcome to its foreign-born parishioners includes a Mass in Spanish on Saturday evenings, a Burundi women’s support group, health workers who double as interpreters of Spanish and Kirundi, the native language of Burundi, and a parish nurse. “She is the number one health care for most of the people in our neighborhood,” Father Jim said. About 300 people attend the services each weekend, a turnout that even suburban churches may be envious of. And while thousands have moved out of North Fairmount over the years -- more than 10,000 people lived there in 1970, today only 1,200 do – for people like Edgar Bernardo, it’s part of their American Dream. Edgar left his home country of Guatemala in 2001 and arrived in Cincinnati a month later after a journey that included three days on a train to Mexico and 24 hours on foot, part of it through the Chihuahuan Desert. 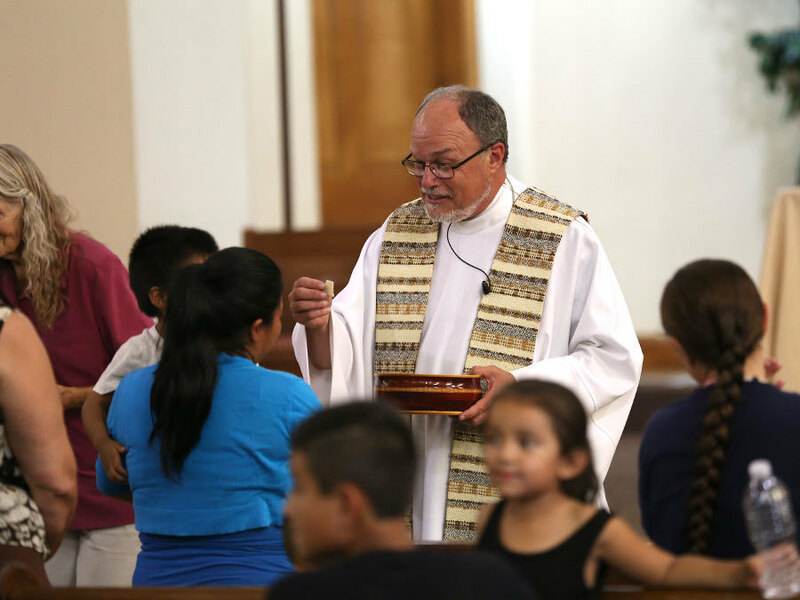 He, his wife, Marisa Perez, and their five children found a church home at St. Leo’s. “They opened the doors for us,” Bernardo said, as he chatted in the church sacristy with his family. 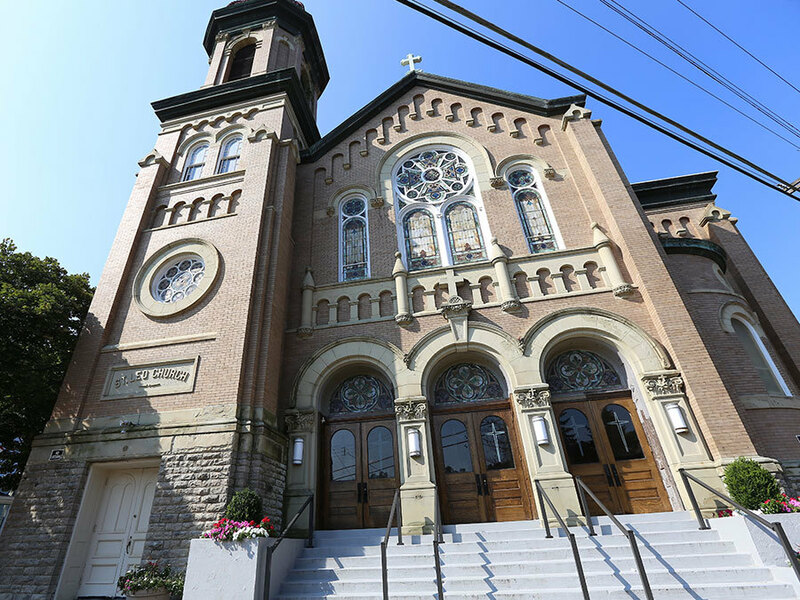 With its beautiful, Romanesque, 105-year-old church building situated on Baltimore Street, St. Leo’s could be the cornerstone to any future restoration of one of Cincinnati’s most distressed and abandoned neighborhoods. Although many of the immigrants and refugees make their church homes at St. Leo's, most make their family homes outside of the neighborhood. Many of the Guatemalans live in one of the Price Hill neighborhoods. Many Burundians found a place to live in Millvale, a public housing project less than two miles from St. Leo’s. They could move into depleted North Fairmount and help repopulate it if – and it’s a big if – there was decent housing they could afford. “They’re looking for homes and homes they can raise big families in,” said Father Jim. Families with children this year got another reason to move into the neighborhood. Cincinnati Public School reopened its elementary school there after having closed it 10 years ago. Formerly North Fairmount Elementary School, it is now a CPS magnet school, LEAP Academy (Language Enrichment and Academic Proficiency). And in North Fairmount, many are dilapidated and owned by landlords. “There is not currently a healthy market for housing” in North Fairmount and its neighboring communities of South Fairmount and English Woods, states a 2013 community strategy. The strategy, the “Cincinnati Choice Neighborhoods Transformation Plan,” was prepared for the Cincinnati Metropolitan Housing Authority by Xavier University’s Community Building Institute. The planners recommend developing affordable housing to stabilize the neighborhood from further decline and to show real estate developers, funders, and others that it can work. One of the main recommendations was to build affordable senior housing in the heart of North Fairmount at the corner of Baltimore and Carll streets, within sight of St. Leo’s. 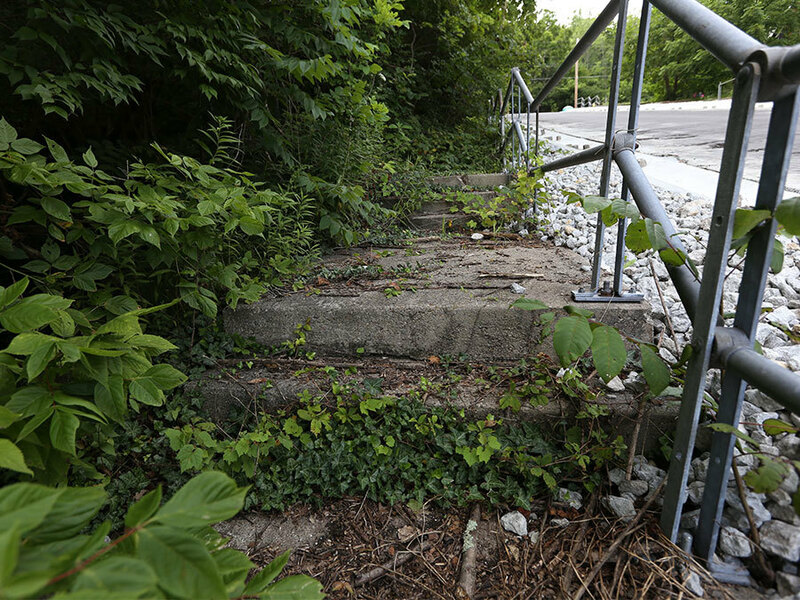 Cincinnati Metropolitan Housing Authority applied for funding from the U.S. Department of Housing and Urban Development for that, but nothing has happened. The city housing authority, with support from Mayor John Cranley and city council members, should again make the case for that HUD funding, as a means to keep some long-time residents in their community. One private developer, La Amistad, is renovating two houses that could become homes for St. Leo’s families. Private banks, which general have community investment obligations to meet, should put some of their lending power into projects like that, which can spark further housing rehabilitations. Neighborhood activist Lawrence Jones bought a house on Baltimore Street out of foreclosure. He to would like to see banks provide more affordable loans so neighborhood homeowners could restore their aging, deteriorating homes. 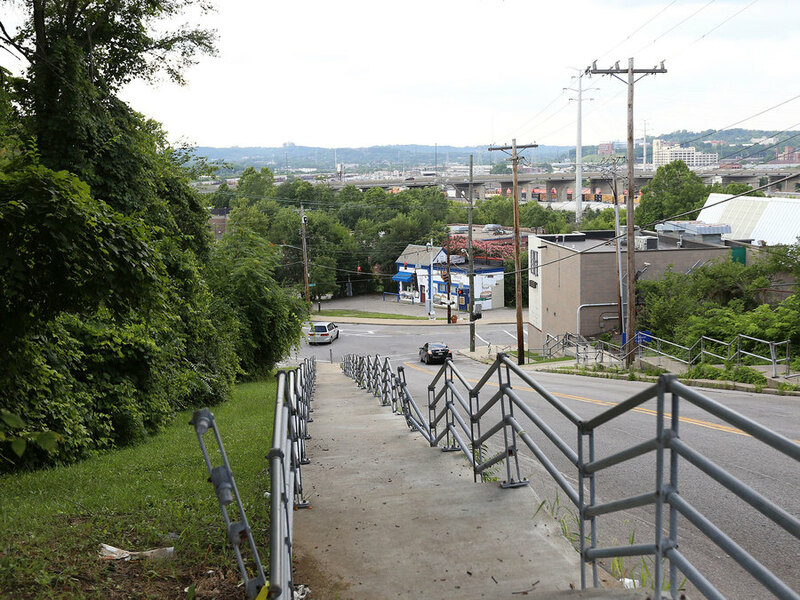 There’s also a Hamilton County Land Bank program that enables homeowners who live next to vacant lots, of which there are many in the neighborhood, to eventually assume ownership of the lot, make it part of their yard, and, it’s hoped, maintain it. That type of property transfer, however, can take a long time to accomplish. So can loan programs and HUD funding. 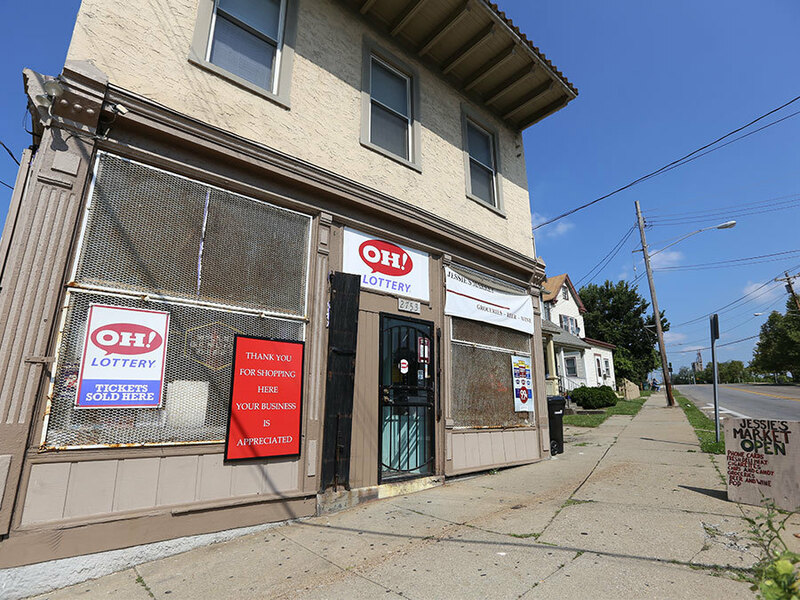 North Fairmount’s decline happened over decades and it won’t be turned around quickly. But there’s hope. Its people are reminded of that every day they pass by an ArtWorks mural at Carll and Beekman streets.